A gigantic (2048 x 1536) version of the image for use as a desktop wallpaper can be found here. 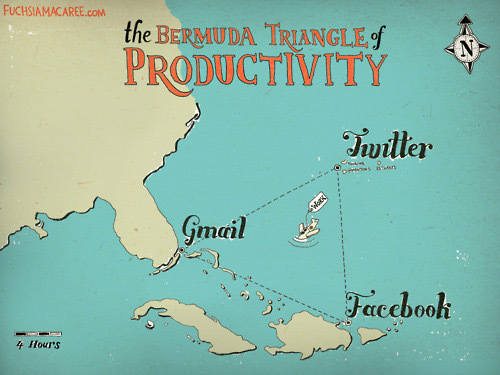 Is this your Bermuda Triangle of Productivity too? Or would you replace any of these websites with something else. Posted by Pieter on January 11, 2011 at 4:22 PM. Use this trackback if you're linking this story.